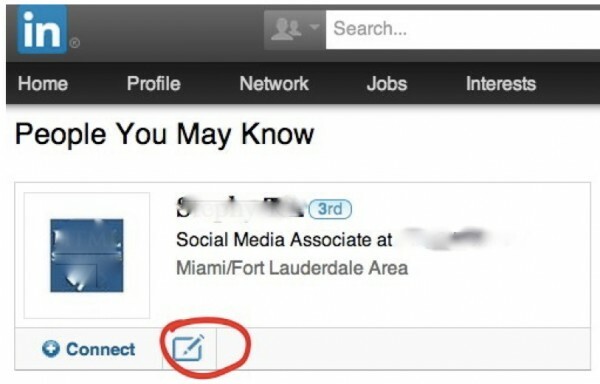 Are you fully leveraging your LinkedIn network? Posted March 10th, 2014 by Julian Westaby. If you’ve invested time in setting up a LinkedIn profile then you want to make sure that you optimise your chances of gaining the best possible advantage from the network you build on the platform don’t you? I hear you say “The obvious answer is yes” but you’d be surprised at the number of people who undermine their profile and online standing at the first hurdle! 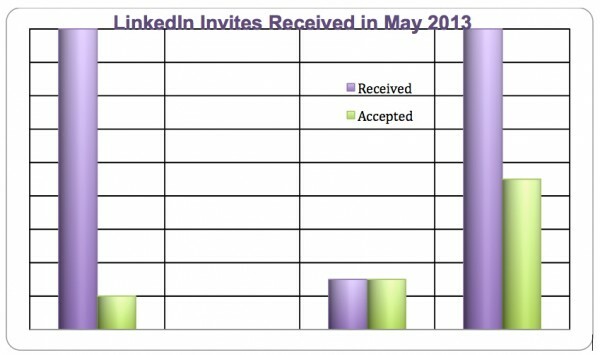 Last month I received 39 LinkedIn invitations to connect and, as I advise during my LinkedIn training sessions, I am discretionary about the invites I am prepared to accept. I have broken down the 39 invites into categories in the chart below. Of the 18 default invites received I only accepted 2, which is just over 11%. The senders are in the same locale, we share mutual connections and we can all hit connect button in error. Therefore, I gave these 2 people the benefit of the doubt and accepted their invite to connect. I accepted 100% of the invites from people who said they had done business with me – because they had and very recently. These invites came from people who have attended my LinkedIn for Business training course. I am glad to say that my advice hadn’t fallen on deaf ears and they were well crafted and personalised invitations. I accepted 50% of the ‘Friend’ invites because half of them came from people I have a connection to, however I have followed them up with a few tips on how to use LinkedIn to prompt their future endeavours to be more personalised – after all that’s what you do for friends isn’t it! As is evident from the figures above the majority of people just don’t do this. Handing over the initiative to the recipient is a risky strategy. Hoping that the potential connection will recognise your name or connect on blind faith alone is a sure fire route to undermining your digital profile and online standing. The fact that so few people personalise their invites means that when you do you will stand out from the crowd. Adding a personal note on every single connection request will massively increase your chance of building your network in a credible and likable way. It’s very refreshing to receive an invite that someone has so obviously taken the time to tailor specifically for you. This tip isn’t just about being unique, it’s also about building rapport and engagement. By doing this you make it easy for the person you’d like to connect with to accept your invite. Let them know why you want to engage, this is more relevant if you have never interacted with the person. If you go the extra mile to explain how you have found them and why you think they are interesting the person on the other end of the request will want to connect with you.